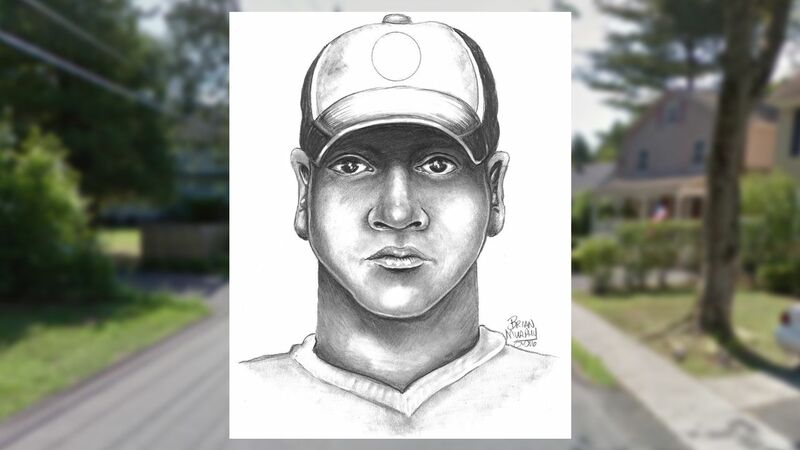 TENAFLY, New Jersey (WABC) -- Police in Tenafly, New Jersey are seeking the public's help in locating a suspect in an attempted sexual assault of a 16-year-old girl. The incident occurred on Saturday, July 16th at approximately 9:30 p.m..
Tenafly Police and the Bergen County Prosecutor's Office Special Victims Unit say that the victim was a passenger on New Jersey Transit Bus 166T. The male suspect then boarded the bus and attempted to speak to the victim. She then proceeded to ignore him and decided to get off of the bus on Westervelt Avenue in Tenafly. When she got off, the victim noticed that the suspect was following her, according to investigators. As she was walking away, police say the suspect then attacked her from behind and attempted to sexually assault her. The suspect then fled the area shortly after and got away. He's described as approximately 25-30 years old, with a light beard, between 5'8" and 6'0" tall, with a muscular build, and weighing approximately 200 pounds. He was seen wearing a baseball hat with a rounded brim, a tight teal/blue shirt, and light colored shorts. Police have stepped up patrols along major bus routes within the area as a precaution. Anyone with information is asked to call the Tenafly Police Department at 1-201-568-5100 or the Bergen County Prosecutor's Office Special Victims Unit at 1-201-226-5785.